This new collection was designed according to the 2014 colour trends through incorporating rich raspberry and lime green hue. 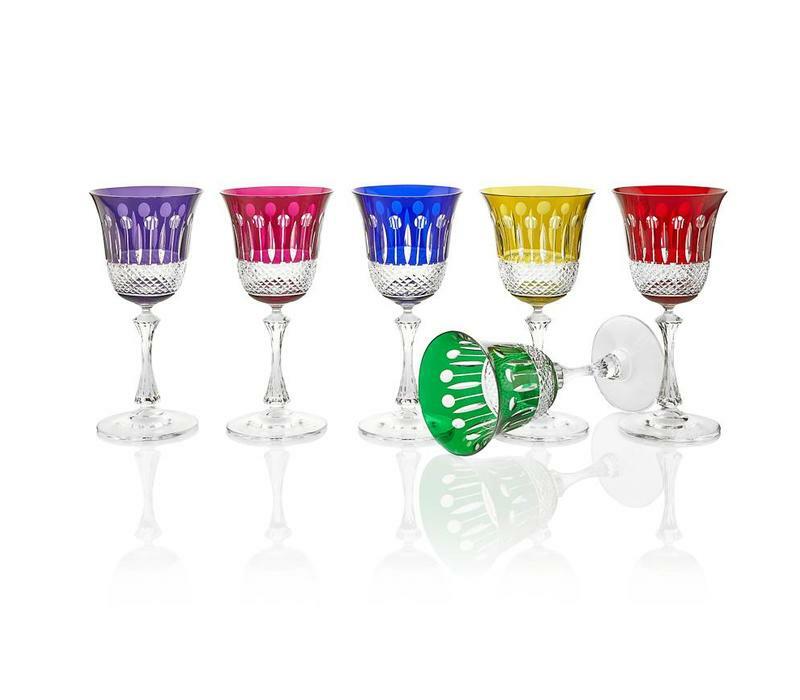 It is an alternative to traditional Rainbow collection which represents six traditional, jewel colours. With a distinct nod to tradition which embraces a modern happiness and vigorous lifestyle, the collection including stemware and barware in mix of six colours, invites the curation of modern “friends and family” drinking experience, which interplays between proportion, weight and size. In this chick, colourful style, luxurious is given free rein. 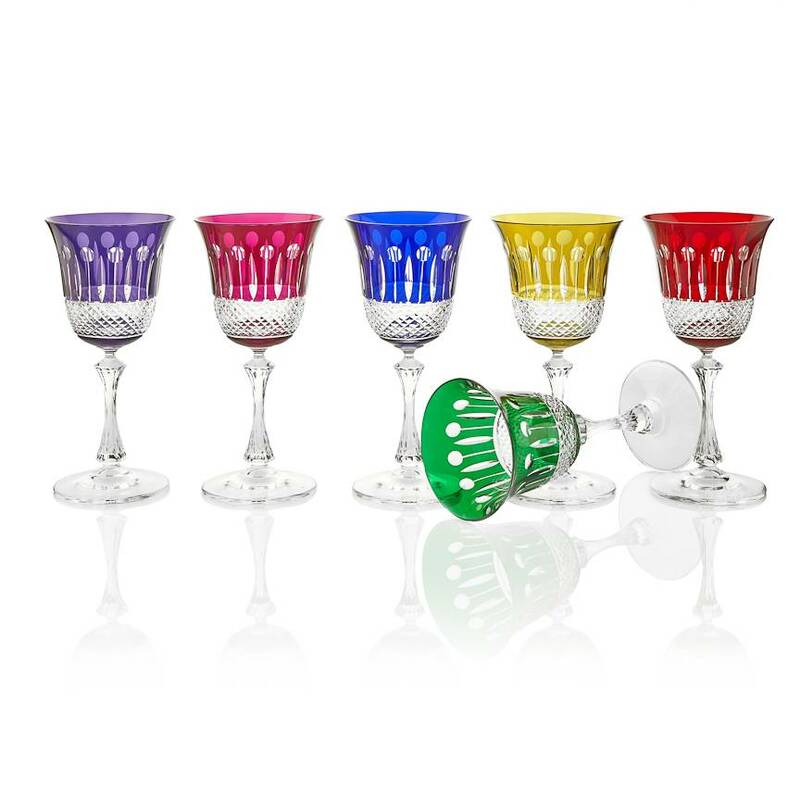 Representing a handmade 24% lead crystal these coloured wine glasses will serve well for any white wine. They will make for a luxurious gift too! Despatched in Gurasu luxurious presentation box.